Enhance your sales force with simple, high-impact marketing messages. Postcard copywriting generated by Dynamic Digital Advertising is concise, clear, and effective. DDA copywriters are experienced in generating content for postcard direct mail, meaning DDA’s professional copywriting services maximize limited postcard space and get your message across. The best-made post-cards seem simple to the audience, however, if the postcards were designed and written correctly, time and effort has been spent to make maximum use of the limited space. DDA’s professional copywriters are experienced in developing postcard content that grabs attention within a single headline and then provides the information that gets them to make a phone call, visit a website, or send an email. People who receive postcards don’t have to fumble with envelopes to receive the message. In fact, it is difficult to throw away a well-designed, well-written postcard without seeing the headline. DDA copywriters take advantage of the high-impact nature of postcards to persuade people to take a second look and learn more about your company and your products or services. Postcards are an economical way to promote your business if you have a copywriting and design team that knows how to generate effective advertising and marketing copy that complements the graphic design. Postcards that are poorly made will fail to generate a customer response. No matter how cost-effective the mailing of a postcard can be, ineffective copywriting services render any expense useless. Call Dynamic Digital Advertising today to find out more about our postcard copywriting services. How do you know whether a new form of marketing media is effective? Are you generating the customer responses you need to survive in today’s competitive marketplace? Postcards can feature special promotions, discounts, and more. When customers redeem postcards, you gain a better understanding of the efficiency of your marketing expenditure. The most effective postcards are succinct and to-the-point. There’s just not enough space to provide all the information customers want. Postcards that feature a website address, riddle, game, trivia, and more can direct potential customers to a custom website designed and professionally developed by Dynamic Digital Advertising. The result is a higher amount of targeted traffic. Once these potential customers enter your website, DDA’s world-class design, conversion mechanisms, and other online capabilities provide all the product and service information they need. Visitors respond by making the call-to-action i.e. placing an order or contacting your company. Dynamic Digital Advertising’s custom website design and development services are ideal for earning higher conversion and visitor response rates as well as e-commerce transactions. 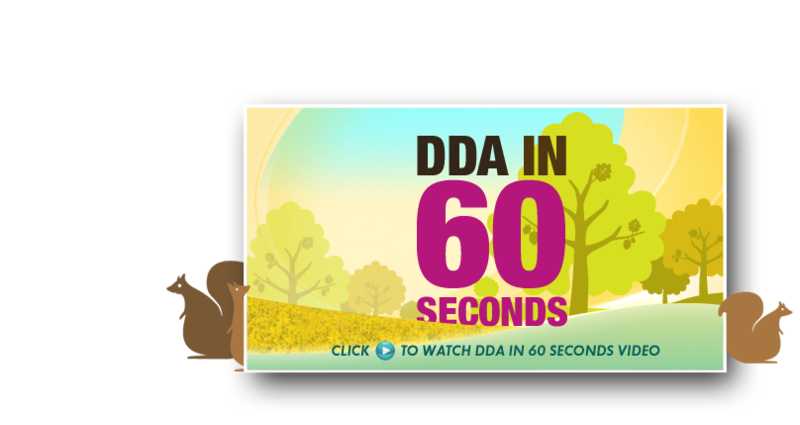 Click here to read more about DDA’s highly-effective, proprietary website design process. Why DDA’s Postcard Copywriting Services? Postcards for advertising and marketing your company’s products and services are cost-effective and high-impact only if you have the powerful and concise copywriting to support your message. DDA copywriters generate the messages you need by working with you to carefully discern your target audience and what you hope to accomplish through postcard direct mail. Don’t waste your money with postcards that won’t sell your products. Call Dynamic Digital Advertising for the professional copywriting services that maximize limited space and get your message across. Since 1994, Dynamic Digital Advertising has lead the digital marketing revolution by making proprietary advancements in organic search engine marketing and custom website design services and professional website development. Also experienced in various forms of print media, DDA is one of the first digital advertising firms to incorporate an in-house writing department to help clients reach a targeted audience. Based in Bucks County, Pennsylvania, just north of Philadelphia, DDA serves clients based nationally or regionally in Pennsylvania, Delaware, New Jersey, Washington D.C., and Maryland. Pioneering natural search engine marketing through a fourteen-step custom website design and development process, Dynamic Digital Advertising works to construct a professional website that helps your company succeed in the online world. Major search engines like Google, Yahoo, and MSN respond to DDAs high-end search engine optimization methodologies with high rankings, which leads your website to be found by targeted searchers. You target these searchers because they are the ones who are interested in your companys products and services and who, upon finding your website, are most likely to respond by converting from a visitor into a customer. Dynamic Digital Advertising is a graphic design company who understands that companies need aggressive marketing tactics to succeed. DDA provides a large variety of marketing and promotional material that is perfectly-adapted to the market segments you want to target. A provider of the broadest range of digital marketing services in the country, Dynamic Digital Advertising is proud to offer animation and graphic design for virtual reality or digital video production services. 3D graphic design within a corporate or promotional video as well as exceptional virtual reality design creates the engaging experience that impresses audiences.